Here comes the Yellow Eternal Dalek, as part of the Paradigm Daleks! 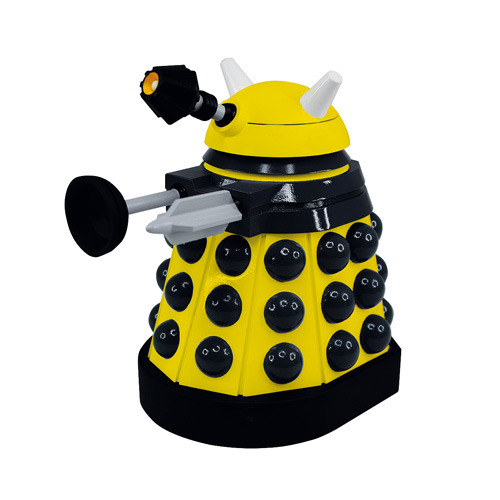 This Doctor Who Titans Yellow Eternal Dalek Vinyl Figure stands 6 1/2-inches tall and comes packaged in a window box. The Eternal Dalek was created by the Progenitor device, but now can be added to your collection! Enjoy this Yellow Eternal Paradigm Dalek in all its superior glory! Exterminate! Ages 15 and up.